A pool of investors led by VTB Capital has completed the deal to acquire 79% of News Outdoor Russia, the largest outdoor advertising operator in the country. VTB Capital has announced that it, NOOH Investments and Marathon Outdoor have bought a 79% stake in News Outdoor Russia from Rupert Murdoch’s News Corporation. 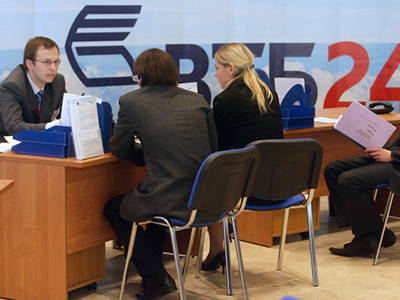 No price has been disclosed in the VTB 24 announcement , but a report in Vedomosti estimated the deal at $270 million. Yevgeny Senderov of VTB Capital was elected as President of News Outdoor Russia. Yuri Soloviev, First Deputy President and Chairman of the Management Board of VTB Bank, said the purchase chimed with VTB24’s plan to expand the scope of its asset management business. Tim Demchenko, Head of Private Equity and Special Situations at VTB Capital, added that the deal would lead to enhanced disclosure practices. “Jointly with their partners, VTB Capital intends to work actively in the Russian outdoor advertising market, continuing to raise the standards of corporate management and information transparency in the industry with due consideration of international experience”. Rupert Murdoch and News limited have long flagged their intention to sell their Russian assets with previous negotiations with America’s TPG Capital group and JCDecaux Group of France, failing to produce a sale.